A product is a sum of its parts. We are in the middle of the product design process of a new line of classic city bicycles for Skiens Cykkelfabrik. One of the parts we are designing is the new seat clamp. 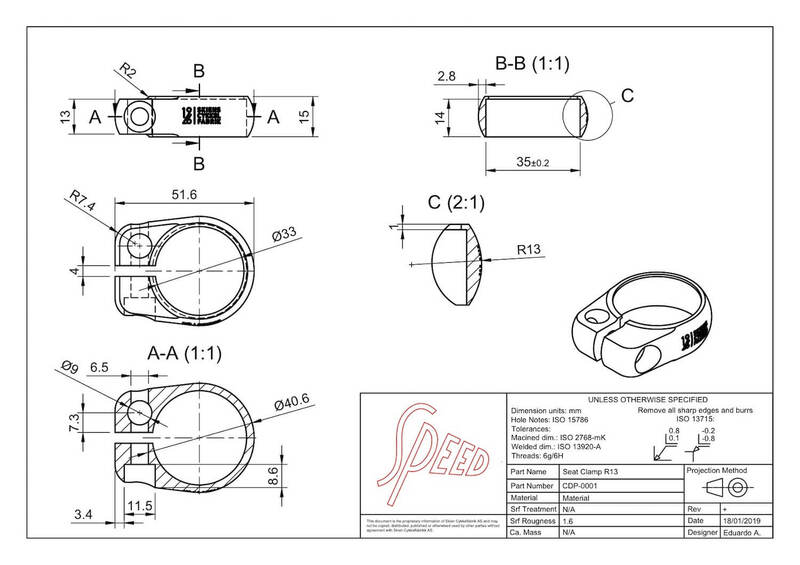 The process starts with CAD product design for CNC production. 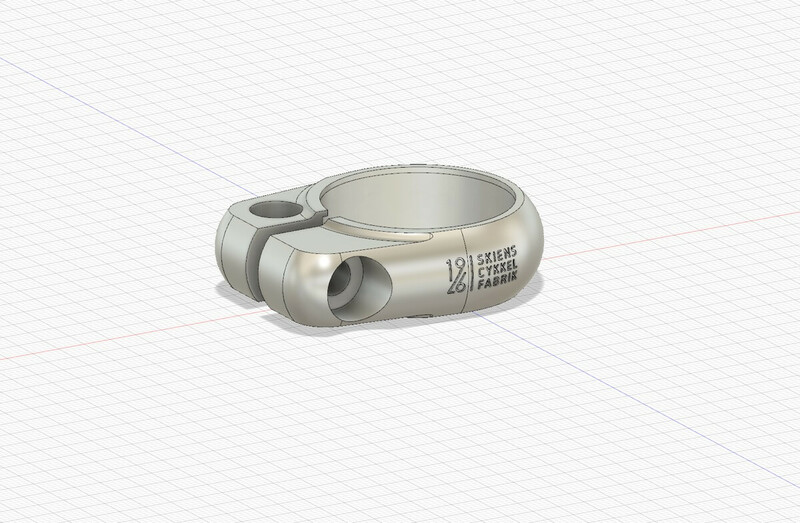 3D visualization of the final part and of course making real prototype parts in aluminum before we iterate. The first step is modeling out the shape in CAD with the exact measurements and details. This is where we can test the fit of the component with the rest of the bike while we get the first visualization of the proportions etc. At this step we can also easily calculate the exact weight of the seat clamp. As we design out the seat clamp in CAD to a high level of detail we can easily get all performance numbers like weight. But at a certain point we like to have a physical prototype. We typically start with a simple 3D printed version of the part. But especially to get a feel of the material finish and weight we really like to CNC machine a real seat clamp. Below is a picture of our first CNC machined prototype of the seat clamp. We found that the design of the seat clamp was a bit too fat to our liking. The weight of the seat clamp also was a bit too much. This was invaluable information that is much easier to obtain when having a physical seat clamp in your hands. Based on the first iteration we tuned the product design. The seat clamp is made more streamlined and clean. Less bulky styling which also makes it lighter. 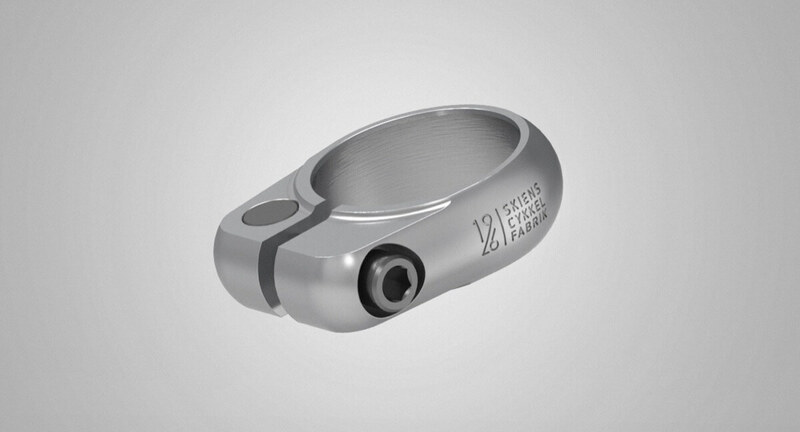 We are also considering changing the bolts to titanium to save even more weight. Details matter and on in our design process we iterate until the seat clamp is just so. No compromise. We are now (most likely) in the last product design iteration for this seat clamp before they are added to the next series of production models of classic bikes. 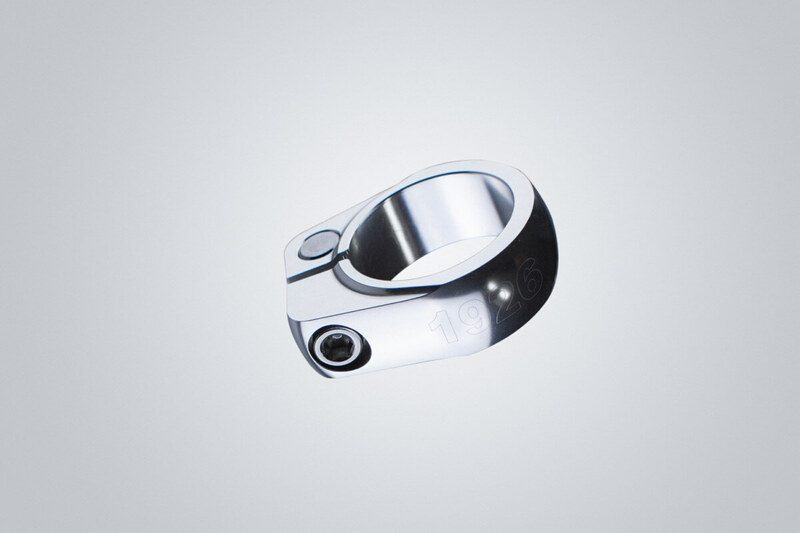 The seat clamp is also being added to Skiens Cykkelfabrik’s PIM making it available from the webshop as one of the bicycle parts.